DMT Soundings | Geo-Technology Associates, Inc. Accurately determine soil parameters instu with the Marchetti Flat Plate Dilatometer. Save time and money by replacing or supplementing laboratory testing. Provide more accurate soil parameters in soft or compressible soil than convention penetration testing. Closely spaced tests provide a thorough representation of the soil profile. A single-family house was being constructed at the location of a former tennis court and several retaining walls which were used to support earth. 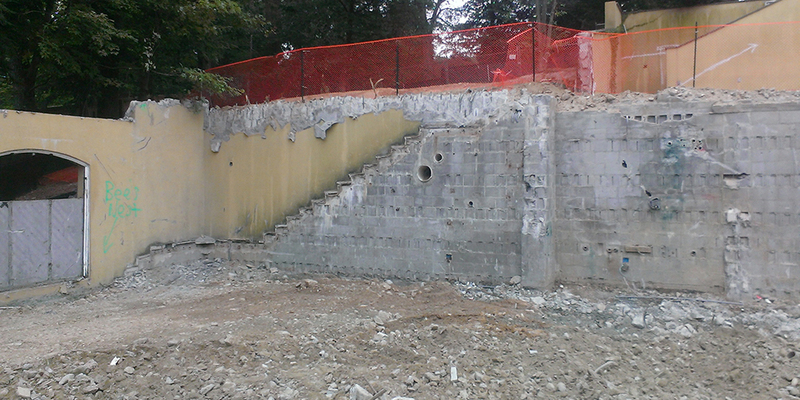 The foundations for the retaining walls were planned to be reused to support the residence basement walls. Another geotechnical consultant had recommended that these footings be supported on helical piles to transfer loads through existing near-surface fills to underlying weathered rock zones. GTA was retained to provide value-engineering recommendations for the project. 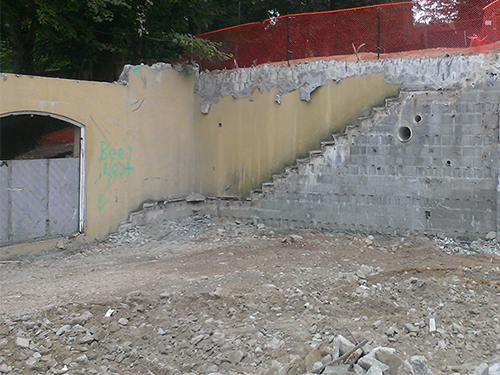 GTA’s exploration program included the use of excavator-pushed DMT soundings, performed adjacent to the existing concrete footings, which were to be reused. Based on the DMT testing, GTA concluded that the existing fills and native soils were suitable to support the planned structures. Spread footings were recommended, thus eliminating the need for a specialty foundation system, and saving a significant cost for the project. 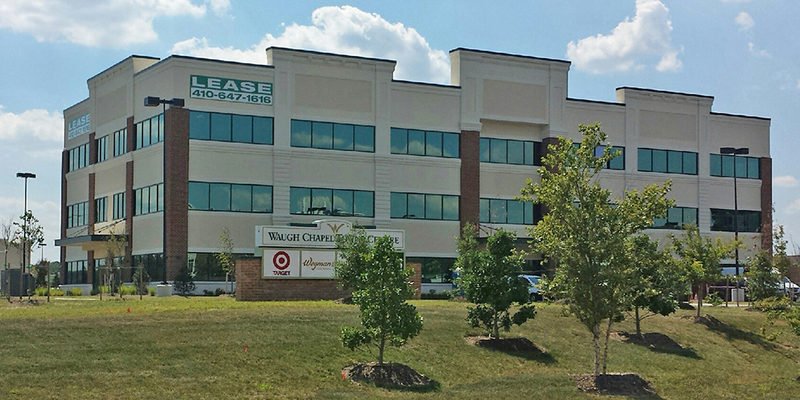 Ballard Green is a 105-acre, 521-home mixed-use community in Owings Mills, MD. The site contains approximately 1,800 LF of three Williams Gas Pipelines. The development plan called for significant fill depths (up to 12 to 18 feet) of fill over portions of the pipelines. The gas company required a detailed evaluation of the pipelines to ensure that the fill loads will not impact the existing pipelines. GTA was retained to perform a geotechnical assessment, and to provide geotechnical parameters for the finite element analysis. DMT soundings were utilized to estimate the soil stiffness and resulting settlement beneath each pipeline. With the aid of the DMT, GTA was able to more accurately estimate soil settlements resulting in a less conservative analysis. 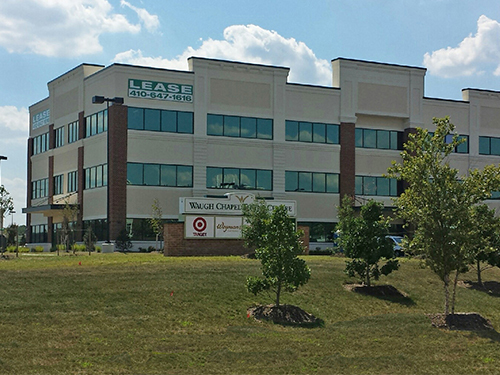 Ballard Green was named “2015 Project of the Year,” by the Maryland Building Industry Association, Land Development Council. GTA performed a preliminary subsurface exploration for a planned mixed-use development at the site of an existing sand and gravel mine. 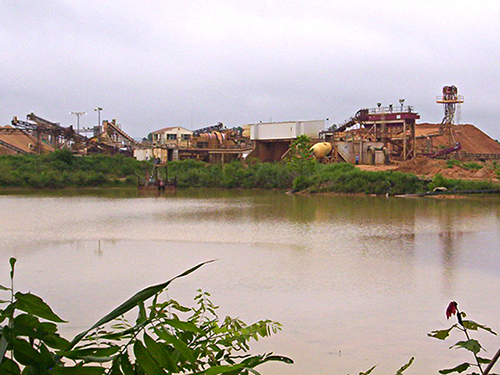 As part of the mining operation, wash pond sediments, and other processed mining fines were deposited in several portions of the site. These materials are very soft in nature, and are prone to excessive consolidation settlement when loaded. The preliminary development plans included mixed-retail and townhouse developments in the areas of the wash pond sediments and mining fines. GTA performed a combination of SPT, CPT, and DMT soundings to evaluate the engineering characteristics of these soils and determine their potential impact on development. In addition to SPT/CPT explorations, and laboratory testing, the DMT soundings provided additional soil strength parameters to estimate the magnitude and rate of consolidation settlement. 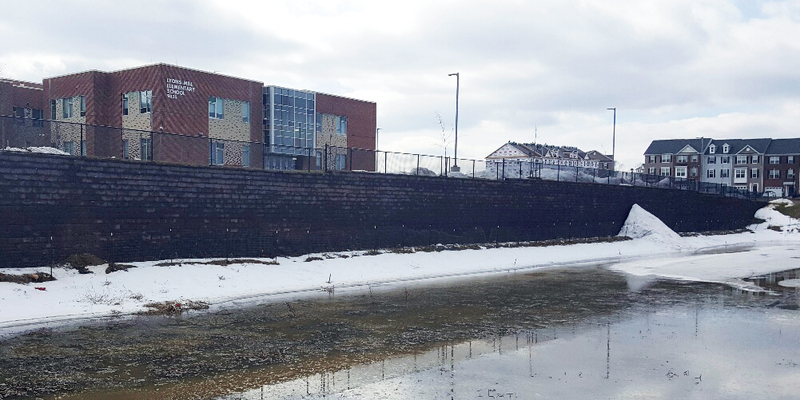 GTA worked with the project team to devise several options/methods for construction of structures in areas which are underlain by the wash pond sediments. Among these, “preloading” of the soft soils was considered as an alternative to a deep foundation system. Accurate estimation of the soil strength parameters will be vital to implement a cost-effective mitigation program. 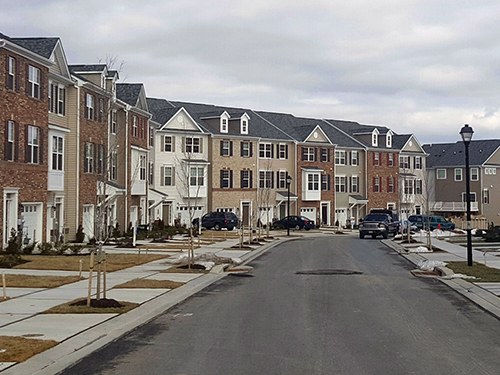 This project is located in the southeastern corner of the Village South at Waugh Chapel development in Crofton, MD, which is constructed over top of a former sand and gravel mine. 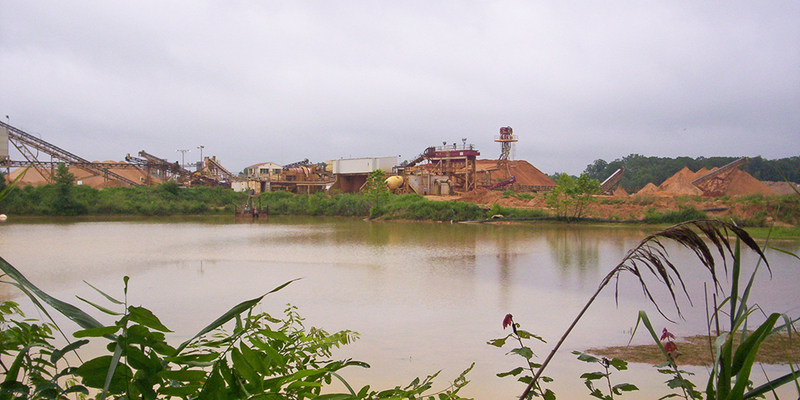 The mine has historically been reclaimed with stumps, fly ash, and both uncontrolled and controlled fills. In particular, Building 11 is situated over controlled fills (northern half of the building), and native soils (southern half of the building). Additionally, a berm was formerly present along the frontage of Crain Highway. GTA observed and tested the controlled fills in the vicinity of the building during the overall site reclamation activities. GTA provided foundation recommendations for this building during a previous exploration program for the overall site. At that point, the building was planned to consist of a relatively lightly loaded one-story building. GTA was retained to perform a design-phase exploration for the building, which was revised to a more heavily-loaded, three-story steel framed building. GTA’s exploration included two in-situ dilatometer soundings. The results of the DMT soundings allowed us to significantly increase the allowable bearing pressure that was previously assigned, based on Standard Penetration Test (SPT) data, resulting in reduced footing sizes, and construction cost savings.